There’s no doubt, your time abroad should be fun, exciting, and memorable, but it’s not just a vacation. Some of your most important learning will be outside the classroom and non-academic and it can contribute directly to your résumé and your performance in job interviews and your career. Your time abroad will offer you new and exciting opportunities to expand your knowledge and skills. Consider doing things that you could not do if you stayed home. Having a memorable overseas experience and building career credentials are compatible. Taking a few moments to think about this before you leave will pay off in the future. Have fun! Do something new, something that interests you. The skills that come are really a by-product of the whole experience – not the main point! Michael, Engineer now working for Austrade, Shanghai. 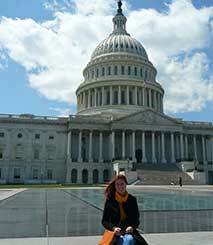 Holly recently completed degrees in Law and Arts, with Peace and Conflict Studies and French as her Arts majors. 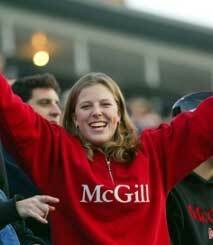 She went on exchange to McGill in Montreal, Canada for one semester. At the time of her interview Holly was working in her first graduate position and had accepted a position for the following year in a large law firm. Brooke recently completed a Bachelor of Journalism and a Bachelor of Arts, with Political Science and International Relations as her Arts majors. She went on student exchange to the American University, Washington DC, USA, for one semester and undertook an internship while she was there. At the time of her interview, Brooke was working as a television reporter for a national broadcaster.